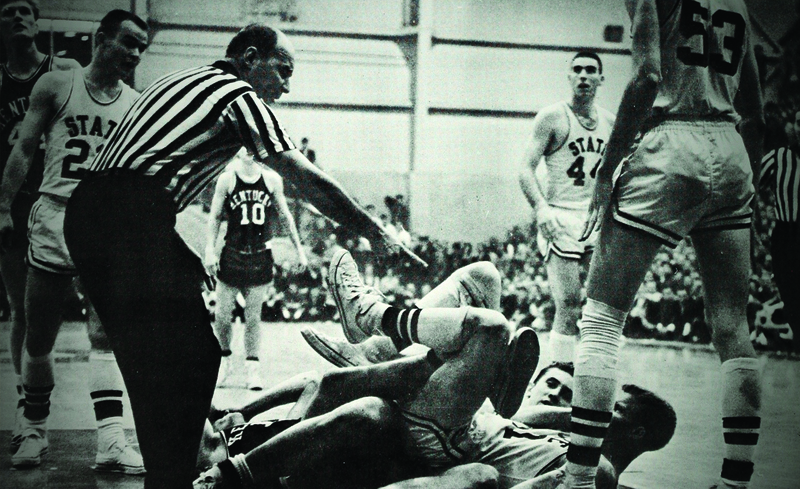 STARKVILLE — American Public Television is releasing the heroic story of a Southern basketball team that made race relations history when they played an integrated Northern team in the 1963 collegiate tournament. Loyola won the basketball game, but race relations scored a big victory in this peaceful meeting of two teams in a culture and time when the races were having violent clashes elsewhere. “One Night in March” has garnered several awards — including a Telly — and been selected to film festivals in the U.S. and Canada. It took home the “People’s Choice” award at the Magnolia Independent Film Festival in February 2013. More than 100 American Public Television affiliates have scheduled the half hour documentary to air beginning in February, covering over 75% of US TV households. American Public Television, APT, has been a leading distributor of high-quality, top-rated programming to America’s public television stations since 1961. Since 2004, APT has distributed approximately half of the top 100 highest-rated public television titles. For more information about APT’s programs and services, visit APTonline.org. For more information on Broadcast Media, contact Robbie Coblentz at (662) 324-2489.